This GPS shield works great with either UNO or Leonardo Arduinos and is designed to log data to an SD card. Or you can leave the SD card out and use the GPS for a geocaching project, or maybe a music player that changes tunes depending on where you are in the city. Each order comes with one assembled and tested shield, a stick of 0.1" male header and a 12mm coin cell. 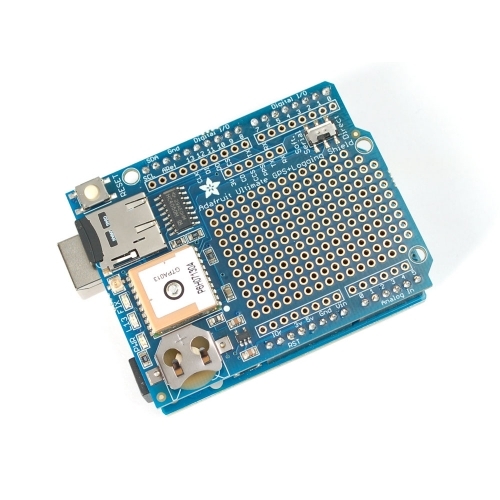 Some light soldering is required to attach the header to the shield in order to plug it into your Arduino. if you want to stack a shield on top, be sure to pick up a set of stacking headers to use instead. MicroSD card not included either, but we do stock them in the shop! If your project is going to be inside an enclosure, you'll love this shield as it has external antenna support. 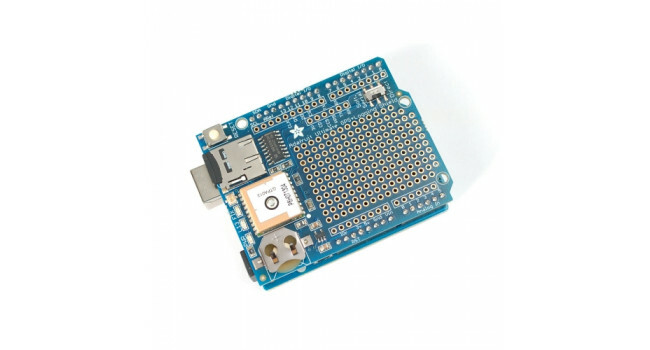 Simply connect an external active GPS antenna via a uFL/SMA cable to the shield and the module will automatically switch over to use the antenna. You can then place the antenna wherever you wish. We think this is the Ultimate GPS shield and we also think you'll agree! For more details, tutorials and example code check out our comprehensive tutorial. GPS active antenna, 5 Meter Give your GPS a boost with this external active antenna. This GPS antenna draws about 10mA and will give you an additional 28 dB of gain. It's got a 5 meter long cable s..